A team of international grad students at Sweden's Lund University have come up with a plan to tackle two major food problems: how to reduce the percentage of wasted fresh produce, and how to provide quality, nutritious food during disaster relief. 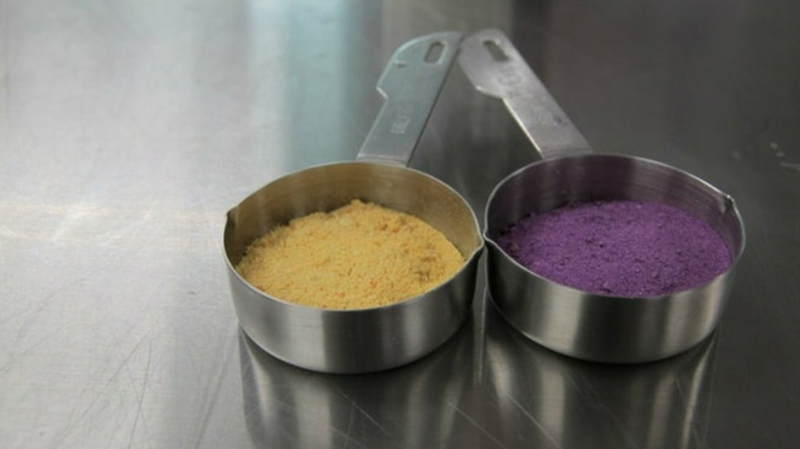 Their solution is FoPo Food Powder, a fruit and vegetable product that has been freeze-dried and powdered, effectively increasing its shelf-life by two years. The group sources expired food from wholesalers and farms—fresh produce that may be bruised or ripened to the point that it can't be sold (they've joked to Mashable that they're "taking dumpster diving to the next level"). The freeze-drying process retains much of the nutritional benefits of the food, and the powder can be added to any number of meals. Think of it as a fruit- or veggie-boost for yogurt, cereal, baked goods, or soups. The most exciting prospect, though, is the humanitarian aid this powder could provide. Condensed, fibrous food products that are easy to ship and distribute are key during natural disasters such as tsunamis or earthquakes. The team has reportedly gotten the support of the Philippine government and started collaborating with the UN on ways to reach those most in need.